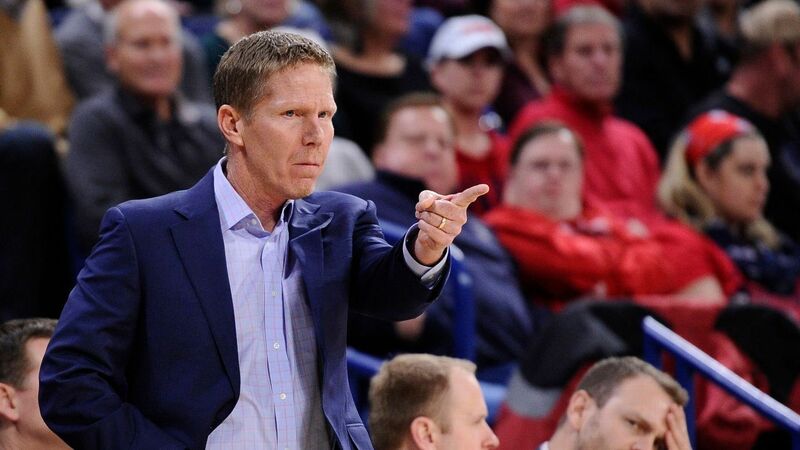 Gonzaga moved into the top 10 in the latest Class Rankings, as Mark Few builds another top class for 2019. ESPN 100 No. 1 recruit James Wiseman, who is headed to Memphis, jumps up and smacks the ball out of bounds on Josh Green&apos;s layup. No. 7 recruit in the 2019 ESPN 100 Josh Green opens up about leaving Australia to play for IMG Academy and winning the High School National Championship. Trailing by 16 entering the 4th quarter, IMG storms back and takes the lead when Villanova commit Jeremiah Robinson-Earl throws down a huge jam. What&apos;s next for LSU basketball after suspending Wade? Mark Schlabach reacts to the news of LSU head coach Will Wade being suspended indefinitely and wonders how the school will handle guard Javonte Smart. Reducing the NBA&apos;s draft-eligible age requirement from 19 to 18 is one step closer after the league formally proposed the rule change to the players&apos; union, USA Today reported. Rocktop Academy is part of an emerging trend catering to non-elite players. James Wiseman, Cole Anthony and Vernon Carey made the U.S. roster for the 2019 Nike Hoop Summit, while Anthony Edwards, Jaden McDaniels and Kahlil Whitney were among those who didn&apos;t make the team. Georgia product Anthony Edwards is staying at home, committing to the Bulldogs and becoming the first five-star recruit in the basketball program&apos;s history. Elite point guard Nico Mannion is a centerpiece of Arizona&apos;s No. 1 class for 2019.